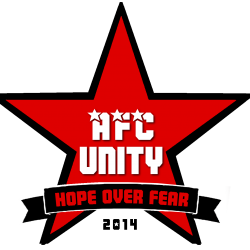 As AFC Unity approaches its third birthday – incredible, considering the achievements already – I can honestly say I’ve never seen such quality football going on throughout the club; football that reflects the ethos of the club itself with its spirit of collectivism and empowerment and positivity in the way it is played. However, this ethos doesn’t mean the style of play is the easiest to grasp, as I’ve mentioned in this column before: it takes dedication and belief, as well as intelligence and a willingness to embrace and learn different football, for players to pick it up, so major credit to them. We want the first team to hold on, move on, and progress, and it’s required patience and passion to stick to principles especially at a time when so many injuries make your team even more vulnerable. But I’m so proud of the nexus of the team for doing this, to the point where I recently had to pause training right in the middle to tell the players I was witnessing the best football I’ve ever had the privilege of coaching. The key is to carry that over into games. The better the first team do, the bigger lift it brings the club and the more breathing space for the second team, the AFC Unity Jets. AFC Unity Jets Head Coach Emily Salvin – herself a former first team player – has done a marvelous job of getting her team nominated for a league Respect award and giving players opportunities to shine, and develop, with a great deal of calm, composure, intelligence and understanding. She also this past week started playing football again after months of recovery from surgery after her injury last May! She’s been an inspiration to all: she never once quit, never once complained, and has become an excellent role model for absolutely everyone in the club. Speaking of injuries, it seems like our first team injury crisis is finally coming to an end, which is great news for everybody. Not only is it good for players returning, but it’s also good for everyone else as this increases competition for spots in the squad on Sundays, and brings out the best in everyone. It makes players try harder, conduct themselves even better, and earn a place. Players know the playing style we’re trying to nurture and those that believe in that, themselves, each other, and the training, will succeed the most. However, you can also always judge people on how they conduct themselves in positions of power – while we were dealt several blows with numerous injuries, so many non-injured players never took advantage of that, never took their position for granted, and conducted themselves so well even when they knew they were needed in the team since we were so thin on the ground. I will never forget that. A bigger squad for the first team also helps out the AFC Unity Jets, which was set up to help develop and give more game time to players who hadn’t otherwise had the opportunities they deserved or needed in order to get better and better. This is because players can potentially be transferred from one team to the other and as is usually the case in football clubs, generally more players develop, advance, and progress from second teams into first teams, although in some cases first team players prefer time to hone their skills in the second team for a while, and AFC Unity is no different. Some current AFC Unity Jets players played with the first team in the Second Division last season and either needed more game time to keep developing or couldn’t dedicate the commitment expected and it was almost always a mutual decision for them to become part of the AFC Unity Jets – several of these are fantastic players, but at this moment in time are better positioned in that team, as it works best for them as well as the club. But make no mistake, there are some absolute diamonds in there! So many newcomers have been brilliant too, even having started playing later than most, proving age is just a number! Naturally, there will be – on albeit rare occasions in AFC Unity – players who are less than positive, and become disgruntled with selection systems and even express interest in our spirit of collectivism extending towards players themselves deciding on the selection process or the manager behind it. Of course, there are reasons this almost never happens in football; even the most fan-led community clubs still have coaches and managers assigned by the board to pick the teams because anything else tends to be an absolutely disastrous breeding ground for power plays, cliques and bullies that we go to great pains to nip in the bud. At Ajax Amsterdam, players had too much power in the team and were so jealous of Johan Cruyff that they forced him out. And my own experiences tell me that outside influence in player selection is catastrophic and corrupt; at Doncaster Rovers, we once had a chairman meddling in picking the team, and he went on to be prosecuted and imprisoned for his hidden agendas and skulduggery. But hey, it’s no coincidence that in football the players who lobby and always complain about the manager’s autonomous selection criteria are those not getting their own way (which is, ironically, actually an anti-democratic attitude in itself!) Hardly the spirit of collectivism. I’m proud to get votes of confidence and have such good feedback from such good people right throughout the club and to see so many women enjoy their football – many for the first team in a long time, sometimes ever. The role of the manager, particularly at AFC Unity, is as a more objective voice off the pitch to focus on nurturing a collective spirit, and keeping individualistic player agendas away from decision-making, so that all those decisions are carried out in the best interests of the club as per the direction set by the directors and founders who put in so much time, effort and energy to keep this a successful, fast-expanding, award-winning organisation. I’ve always said, no one should have rights without responsibilities, and no one should have responsibilities without rights. The system we have gets results, with our social aims, for the greater good. Those who support the good work we do can become members to help us do even more of it (and there are some great membership package announcements coming up soon too!) We are a non-profit organisation (which means all proceeds go back into the club) but also a registered company – rather than an unincorporated association like most grassroots clubs – so we are subject to all kinds of regulations and legal and financial scrutiny that means members and players have peace of mind with us. 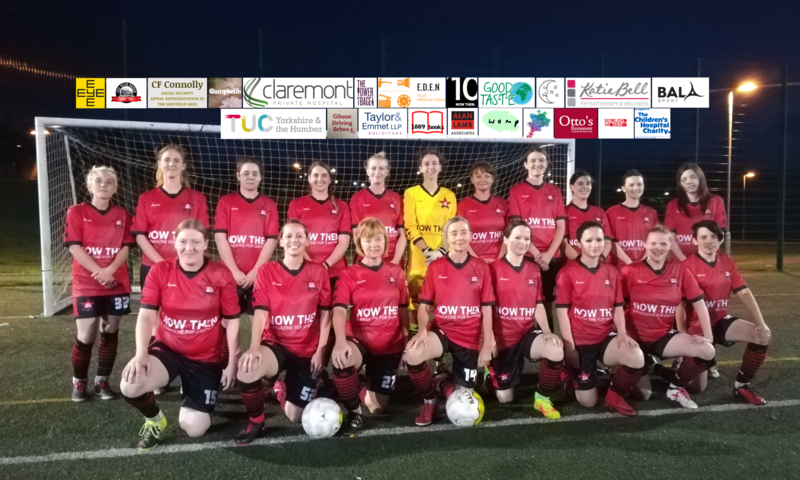 Too often we hear stories of women’s football funding being spent on the men’s team, sponsors’ money being pocketed by some coach, or committees fiddling with packets of cash. Coming from a community business background, those running AFC Unity have given a different, more professional perspective on running a football club, which I think has been key to making us so successful. Beyond that, AFC Unity isn’t just an independent women’s football club with no connection to or reliance upon a men’s team, but actually driven by an entirely all-female Board of Directors, which is just fantastic. How many women’s teams have at the very top of their structures 100% women? A lot of players in our league and others like it would do well to spend more time pointing the finger at the plethora of women’s teams either co-opted by a men’s club, or mostly run by men. Here at AFC Unity, we’re very different, and I’m proud to have been one of those pushing for this to be the case. So, for a change, let’s hear it for the women: those playing, coaching, volunteering, or on the board. It’s very refreshing, and definitely inspiring. Next PostNext Are You a Member of AFC Unity?